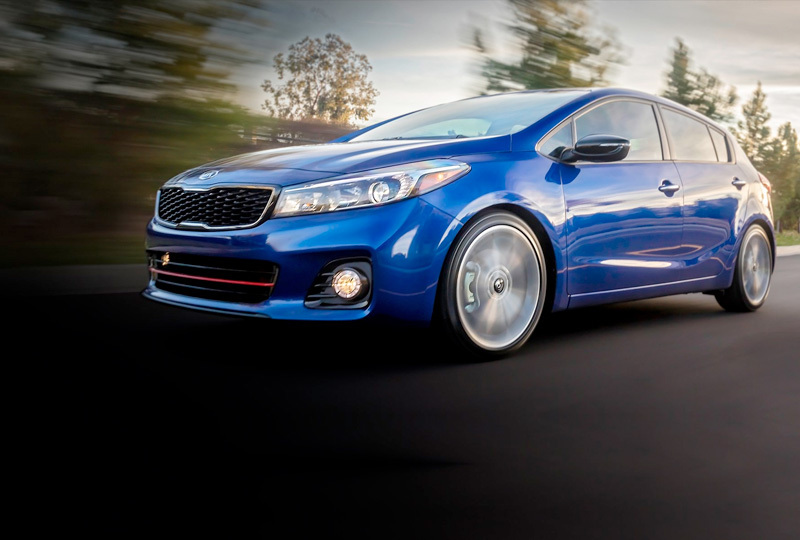 The 2018 Kia Forte5 in Stuart, FL – serving Okeechobee, Fort Pierce, Port St. Lucie, Vero Beach, FL, and the entire Treasure Coast – is a modern hatchback with everything you need. The sleek exterior is ready for anything. 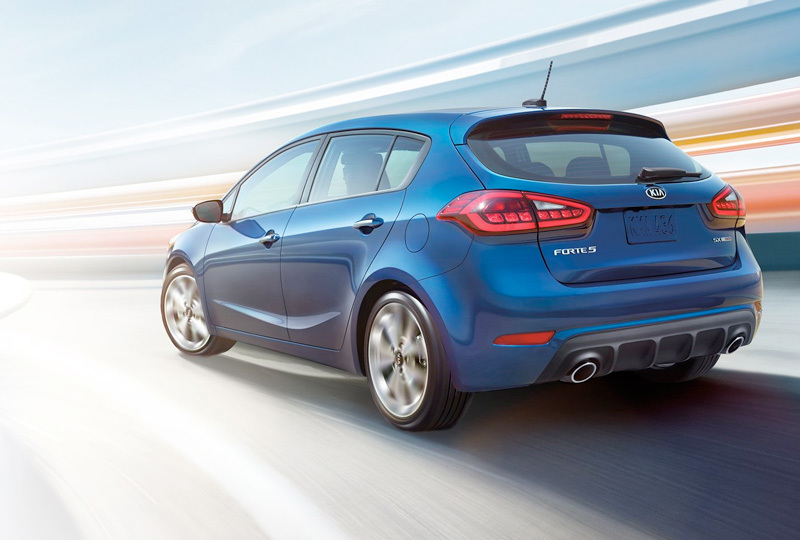 A sporty rear spoiler adds a distinctive look and the available power sunroof will let you soak up the sunshine. The 2.0L, I-4 engine uses 164 horsepower to fuel every drive, so you get exciting driving potential. 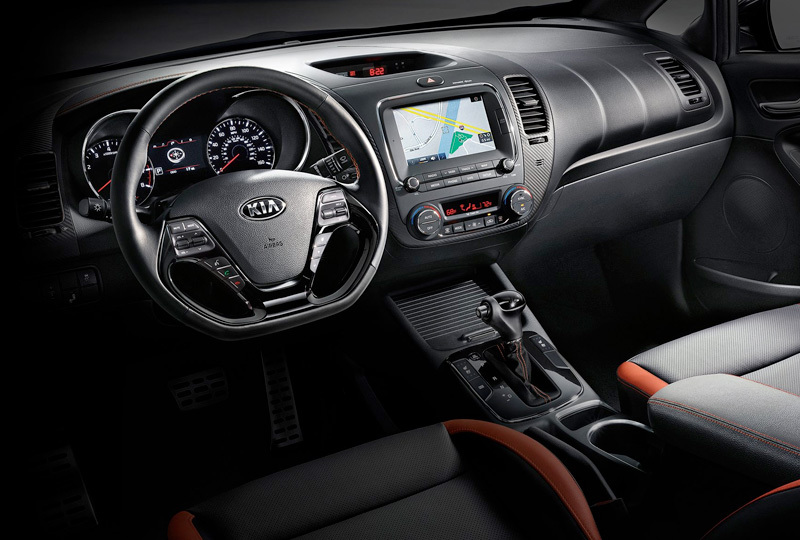 With the available UVO infotainment system, you’ll have access to audio, navigation, and more, all from a 7-inch touchscreen display. Standard Bluetooth connectivity provides wireless audio streaming from your compatible device and hands-free calling. When it’s time to load up, you’ll find plenty of room in the spacious cargo area. Once the bags are packed, it’s time to head out; your adventure begins with your 2018 Kia Forte5. Today is a great day to buy a new Kia. We’ve got a huge lineup of new 2018 models. Call us today at 866-742-4262 to schedule your test drive or visit the dealership at 3131 SE Federal Highway, Stuart, FL 34994. We’ll show you how Bev Smith Kia of Stuart is saving you the most on the Treasure Coast with a 2018 Kia Forte5! *Forte5 SX shown with Premium Tech Package. 1.6-liter turbocharged 16-valve I-4 engine standard on the SX. 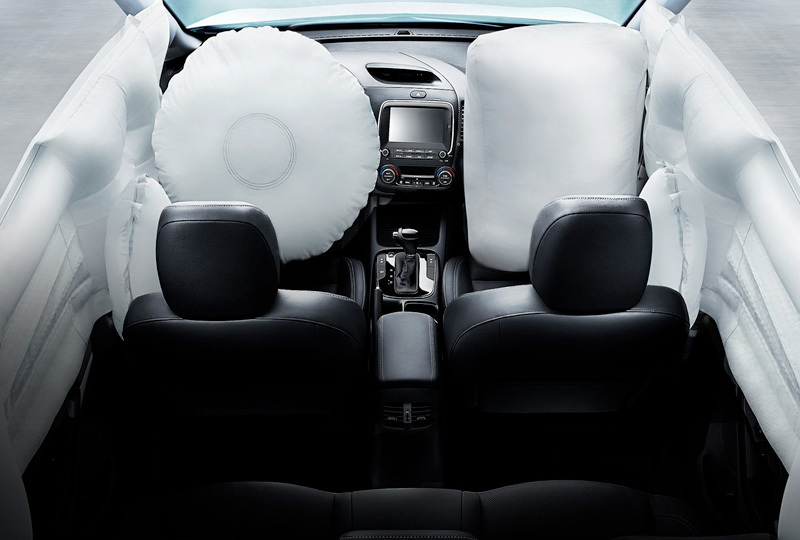 *Inflated airbags are shown for illustration only. *Blind Spot Detection (BSD) included in the EX and SX Premium Tech Packages. Rear Cross Traffic Alert (RCTA) included in the EX and SX Premium Tech Packages. Blind Spot Detection (BSD) and Rear Cross Traffic Alert (RCTA) not available with Manual Transmission. *Leather-wrapped steering wheel included in the LX Popular Plus Package. Standard on EX and SX. Auto-dimming rearview mirror included in the EX and SX Premium Tech Packages. Smart Key with push-button start and immobilizer included in the LX Popular Plus Package. Standard on the EX and SX.